From this seed of historical truth, George Saunders spins an unforgettable story of familial love and loss that breaks free of realism, entering a thrilling, supernatural domain both hilarious and terrifying. Willie Lincoln finds himself trapped in a transitional realm – called, in Tibetan tradition, the bardo – and as ghosts mingle, squabble, gripe and commiserate, and stony tendrils creep towards the boy, a monumental struggle erupts over young Willie's soul. Unfolding over a single night, Lincoln in the Bardo is written with George Saunders' inimitable humour, pathos and grace. Here he invents an exhilarating new form, and is confirmed as one of the most important and influential writers of his generation. Deploying a theatrical, kaleidoscopic panoply of voices – living and dead, historical and fictional – Lincoln in the Bardo poses a timeless question: how do we live and love when we know that everything we hold dear must end? How do we make sense of a world where everyone we love will die? How can we navigate our way through - and out - of grief when the world around us demands we carry on? How can a parent ever heal after burying a child? And what if that parent is already encumbered with the weight of leading a nation that is tearing itself apart? Saunders has taken these questions and woven a kaleidoscopic, dazzling novel based on the death of Abraham Lincoln's son, Willie, in 1862. Lincoln visited the boy's body several times after his interment and held him close, a man sunken in grief while the nation he lead was engaged in a violent and bloody Civil War. This image of a father cradling his son's body is so striking, and so private, that to read about it almost feels profane. If it weren't for the obvious tenderness that is so clearly displayed in such an act, it would be verging on the morbid. The bardo of the title is a reference to the transitional realm of Tibetan tradition, where consciousness resides after death, but before being reborn. And in Saunders' whirling, staggering first novel, it is a realm populated with souls who clamour to be heard and to connect after the shock of being ripped away from the mortal world. They ramble, pester, joke, chatter and clash in a cacophony of voices. Willie is in the bardo, and soon Lincoln becomes trapped in this liminal state, buffeted and encircled by the swirling sounds as he attempts to cope with his loss. Saunders has woven snatches of historical documents in amongst the tapestry of this novel. Letters from well wishers, contemporary accounts of his grief and more, all coalesce to create a novel that is utterly unlike any other. It is not an easy read - it constantly challenges the reader and leaves little room for the inattentive. But it is breathtaking, and I read it in a state of awestruck consternation - am I, as a reader, up to this? Do I have the stamina? Can I relax and just go, slip into the current of his storytelling and let it buffet and drag and push me along? In the end, I'm still not sure I have answers to those questions. But I do know this is a book I will revisit and re-read in an attempt to decode further. I am particularly looking forward to hearing how this reads on audio - there are apparently over 160 narrators who will bring it to life, and perhaps this will offer yet another angle by which to examine this bafflingly, beautiful work. This is such a wonderful book. I borrowed it and read it, then bought it and gave it away, then bought it again! Not an easy read – probably more suited to an audio book. This book appeared on my wife's book club list. She gave it less than 10 pages before assigning it to the rubbish pile. I persevered and grew to understand what was happening. To me, this must be read as a documentary script, possibly best for radio. One must quickly ignore most if the attributions following each sentence or paragraph and only refer to them occasionally. I think some subtitling of scene changes might have helped the reader. It's a quirky take on the afterworld at the time that Abraham Lincoln lost his son to typhoid. There is significant humour, some subtle and some slapstick. And there is much pathos. While I recognise that it's probably the unusual writing style that won the author his Man Booker Prize, I personally doubt it will be a best-seller based on referral. Unsure for weeks about buying this book, but glad I did in the end! It is a most unusual yet tender, thought provoking read. Some might hesitate to choose it because of the topic, but I encourage them to read it and savour the beautifully constructed text. Some parts could be difficult for the more squemish reader who doesn't want to engage with the inevitability of death and what lies beyond. But I recommended it highly, a worthy winner of The Man Booker Prize 2017. I just thought it was silly. Couldn't bother finishing it after getting about a third of the way through. Maybe I'm not clever enough. Unfortunately, I got sucked in by the hype surrounding this book. Perhaps I'm the only one who thinks this, but I have never read such a crazy, boring lot of words in my life, and I've read a lot of books. Such a pity when I was looking forward to it. An engaging book to read. This totally original, moving and very funny book is an absolute inspiration. 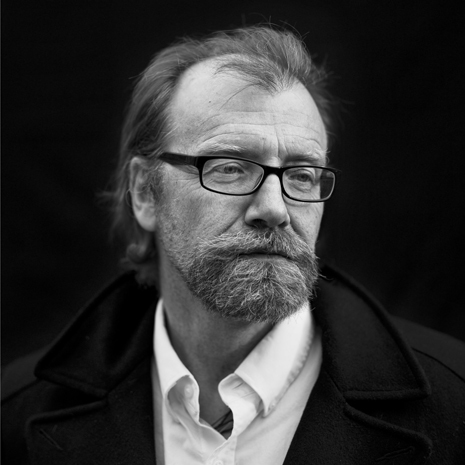 George Saunders is the author of nine books, including the No. 1 New York Times bestselling novel Lincoln in the Bardo and the short story collection Tenth of December, which was a finalist for the National Book Award, won the inaugural Folio Prize (for the best work of fiction in English) and the Story Prize (best short-story collection). He has received MacArthur and Guggen­heim fellowships and the PEN/Malamud Prize for excellence in the short story, and was recently elected to the American Academy of Arts and Sciences. In 2013, he was named one of the world's 100 most influential people by Time magazine. He teaches in the creative writing program at Syracuse University.